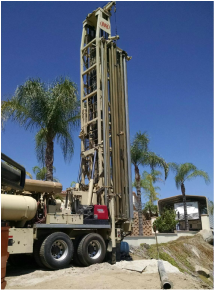 As a licensed contractor with the state of California and registered with the local environmental health agencies, we are knowledgeable and experienced in all formations of vertical well drilling. 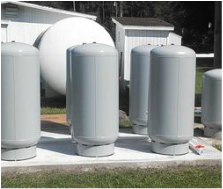 Our pump department installs and maintains submersible, turbine and booster pumps, as well as design and installation water storage tank systems for both fire protection and domestic use. ​L.O. 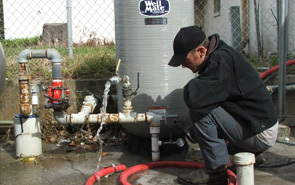 Lynch is one of the most experienced water well drilling service companies in California. We use the most modern water well drilling equipment in the industry to assure your job is done efficiently, quickly and without a big mess. To expedite pump repairs, L.O. Lynch stocks a large inventory of pumps, motors, electrical controls, pipe, wires and various other parts. Our service trucks are alway stocked to be able to repair a pump system on the first call; saving our customres downtime and money. L.O. Lynch only uses the finest tank products on the market to ensure the customer gets the longest life and quality of product.